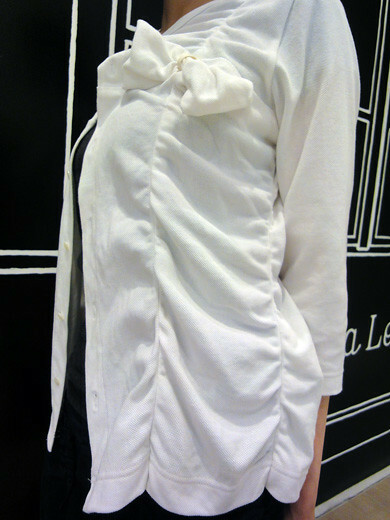 I got a 100% cotton three-quarter-length cardigan from tricot comme des garcons. The texture like a polo shirt is very good for summer that makes me comfortable. 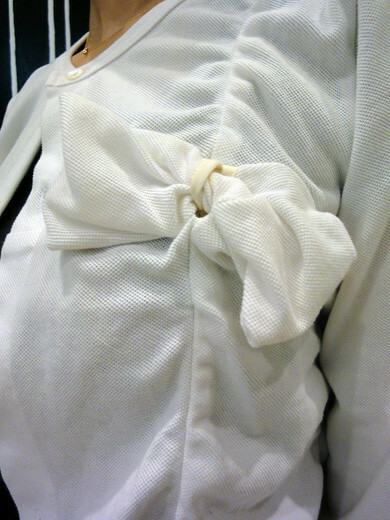 Also, I love the pretty ribbon design on the chest.